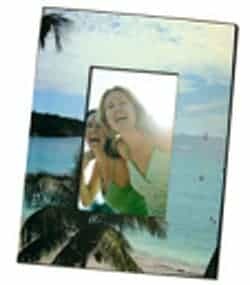 Our sublimation photo frames make it easy to picture yourself with a gorgeous accessory for home or office! 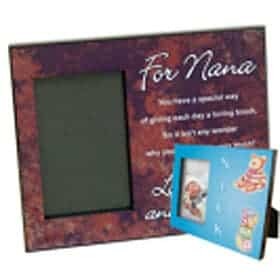 This easy to sublimate picture frame makes an attractive addition to any environment and acts as a great personalized gift for newlyweds, housewarming parties and office celebrations! It also includes protective glass and an easel for an easy and classic display. 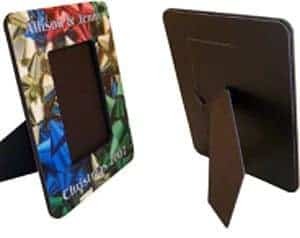 Item SGF-97 * Glass Picture Frame with easel. 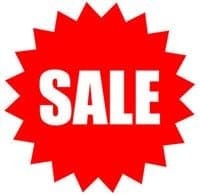 Size 9” x 7” x 0.4” – Image size 6”x8”. 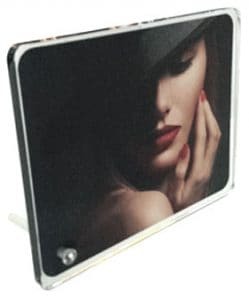 Item SGFR-97 * Glass Picture Frame (rounded corners) with easel. Size 9” x 7” x 0.4” – Image size 6”x8”. Item UNI1019 * Picture Frame, Unisub® Center Mount for Dye Sublimation Imprinting, with pre-attached easel. Overall size: 8″ X 10″ x 0.625″. 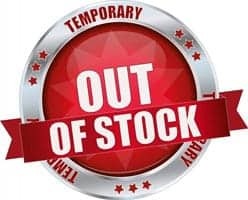 Gloss White, 0.625″ MDF (Medium Density Fiberboard); Holds 4″ x 6″ Photo. Black Beveled Edges with Glass Lens. Keyholes for landscape or portrait orientation. 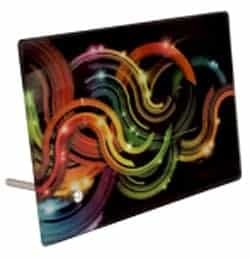 Item UNI5607 * Picture Frame, Unisub™ Offset Mount Sublimation, with pre-attached easel. Overall size: 8″ x 10″; .0625″ MDF (Medium Density Fiberboard). 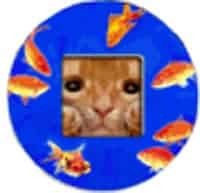 Holds 4″x6″ Offset-mount Photo. Black Beveled Edges, with Glass Lens. Keyholes for landscape orientation. 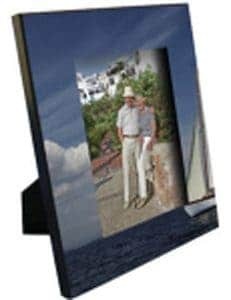 Item UNI5659 * Picture Frame, Unisub® Center Mount Sublimation, 8″ X 10″ x 0.625″ with pre-attached easel. Gloss White MDF (Medium Density Fiberboard). 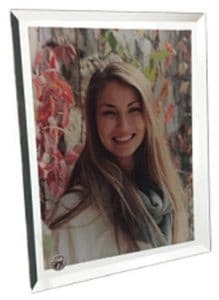 Holds 5″ x 7″ Photo or Aluminum Insert UNI5732 (sold separately). Black Beveled Edges, two keyholes. With Glass Lens. * For item SGF-97 Press at 400 degrees F for 5-51/2 minutes using Medium pressure.